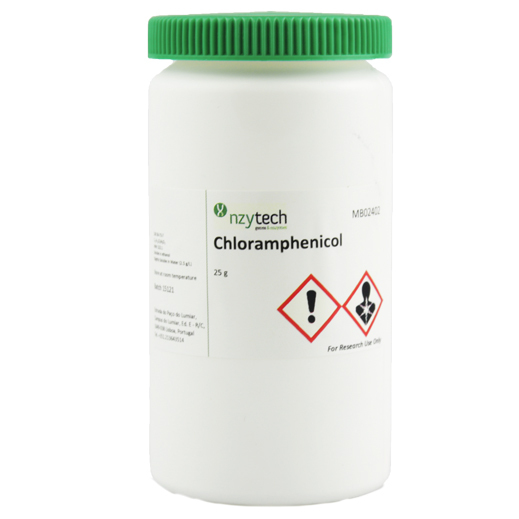 Description: Chloramphenicol is a synthetic broad spectrum antibiotic against gram-positive and gram-negative bacteria. 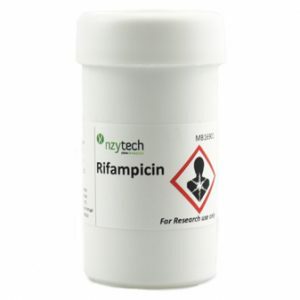 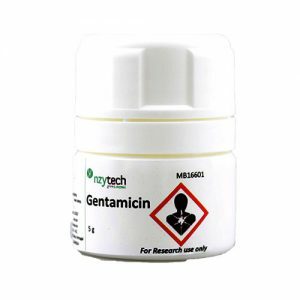 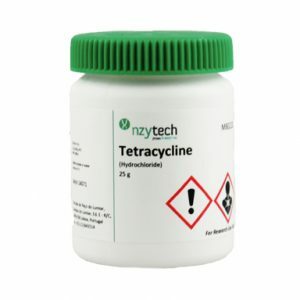 It is often used for bacterial selection in molecular biology applications at 10-20 μg/mL and as a selection agent for transformed cells containing chloramphenicol resistance genes. 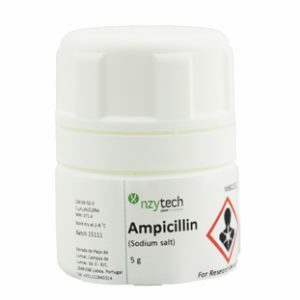 Chloramphenicol inhibits bacterial protein synthesis by blocking the peptidyl transferase step by binding to the 50S ribosomal subunit and preventing attachment of aminoacyl tRNA to the ribosome. 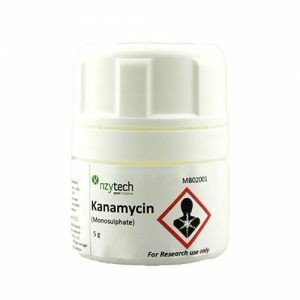 It also inhibits mitochondrial and chloroplast protein synthesis and ribosomal formation of (p)ppGpp, de-pressing rRNA transcription.